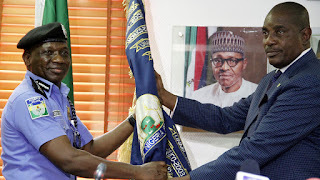 The acting Inspector-General of Police, Ibrahim Idris, has set up a special investigation panel to probe his predecessor, Solomon Arase, over the disappearance of many police vehicles. Addressing journalists in Abuja, Idris accused Arase of leaving the force with 24 police vehicles. He also accused the seven Deputy Inspectors-General of Police, who retired alongside Arase, of going away with eight and seven cars each, leaving him with no good official car. Idris said he had written Arase to return the cars, which included two official bullet-proof BMW 7 series cars, stressing that the retired police chief and his DIGs were yet to return the vehicles even after writing them. The police boss revealed that a special investigation team had been set up to look into the records of police vehicle purchases in the last three years as well as how they were distributed. “If you look through the windows of my former office and from the report from my (Force) transport officer, you would see cars, but a week to the day I would resume, all these cars disappeared. “I wrote to him (Arase), I wrote to the DIGs,” Idris told journalists. Arase has, however, denied carting away any police vehicle. He described the allegations as a malicious propaganda to dent his image after serving the country faithfully for years. He called on Idris to face the serious security issues facing the country instead of engaging in media propaganda.